We had to be quite patient this year, but the last couple of weeks the sun has finally showed us some love again. It is great to see how the city Berlin transforms when the sun starts shining: Everybody is in a better mood, all parks are full of people and you can do many cool additional activities compared to the winter (e.g. standup-paddling or renting a raft). Besides all that, there is one very important argument why sunny days are awesome: You are able to visit one the great open-airs in Berlin. Party in Berlin: Club or open air? If you do not want to decide between partying on an open-air in Berlin or visiting a club, you can always do both. Some open-airs in Berlin are organised one single time but other locations offer parties once a week or even more often. In this article you can find the best open-airs in Berlin which are organised frequently and throughout the whole summer. If you are more interested in spontaneous open-airs you can read the last paragraph of this article. The ELSE is the little outdoor-sister of the famous Berliner club the Wilde Renate. This open-air in Berlin was first organised in the summer of 2013 and has been a great success ever since. Talented DJs, a laidback atmosphere and fair prices are some of the arguments to visit this outdoor-location. As you can see in the images below, the ELSE was also decorated with a lot of love. The ELSE is easiest to reach if you travel to station Treptower Park but you can also decide to travel to Ostkreuz and walk for about 15 minutes. The location is great because some great Berliner clubs are located close to this Berliner open-air . The different open-airs in Berlin are all worth a visit but we expect a lot of the ELSE club in the summer of 2019. The mix of an awesome location, a great sound-installation and a cheerful setting comes close to the perfect recipe for a lovely open-airs in Berlin. When you want to follow this location and find out which events will be organised, you might want to follow the facebook-site of the ELSE. Another Berliner open-air where a lot of outdoor-events can be expected during the summer of 2019 is the IPSE (a.k.a. [ipsə]). This open-air is located in a very vibrant area in Berlin: Schlesisches Tor. Here you can find multiple nice bars, restaurants and one of the best burger-places of Berlin. The IPSE is only open during the weekends and is popular because you are literally sitting at the waterside of the Spree. Most of the time local DJs will perform on these Berliner open-airs and therefore the entrance can be kept on a reasonable level. As mentioned above, most of the parties in the IPSE will be organised during the weekend but also on special holidays like Herrentag, Karneval der Kulturen and Pentecost you can party here during the day. The people who visit the IPSE are mostly young, hip and pretty laidback. If you want to keep track of the open-airs at this location it is probably best to like the Facebook-page of IPSE (See link below). Also Neukölln has some great Berliner open-airs to offer. One of the most popular location for 2019 will probably be Klunkerkranich. This outdoor-location can be found on the fifth floor of a shopping mall and is a mix between club, lounge, beach-bar and restaurant. It is one of the best spots in Berlin to enjoy the summer because you have an awesome view over Berlin and the rooftop is decorated with a lot of love. The Klunkerkranich opens every day at 10 o’clock, only on Sundays they open a bit later at 12.00. Because Klunkerkranich is located at the 5th level of the so called Neukölln Arcaden it is not very easy to spot this location if you never been there before. Let us help you out: You have to take the entrance at the postoffice, which is directly around the corner of Ü-Bahn station Rathaus Neukölln. If you cannot find the entrance you can just ask some young people because during the summer many people go here. The Klunkerkranich offers different kind of parties on an irregular basis, so keep track of the website below if you want to know what kind of party you can expect. The photo below probably says more than any words I could write about the Badeschiff: This is simply one of the coolest locations for open-airs in Berlin. The swimming pool, which is literally located inside the Spree , is open every day from 08.00 for people who want to go for a swim. But lucky enough this location is also used for cool events and open-airs. Because do not happen on a weekly basis it is best to check out their website (see summary below) to see when it’s best to visit this open-air in Berlin. Badeschiff is part of the Arena Club which you can visit if you like electronic music. The great thing is that even when the open-air ends it’s often possible to keep dancing inside in the Arena Club. So the combination of a swimming pool, a great open-air location and an indoor-club definitely make this one of the best open-airs in Berlin for 2019. 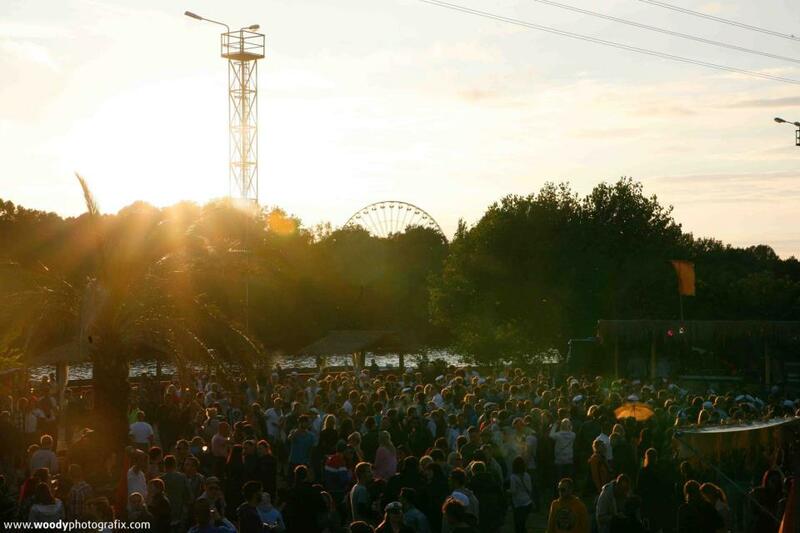 The open-air festivals in Rummelsburg are legendary in Berlin. It is a pity that these parties are not organised that often but lucky enough we can still enjoy them several times a year. Rummelsburg is located in the east of Berlin and therefore a little bit less central than places like Badeschiff or ELSE. But Berlin has a great public-transport-system so you will still be able to reach this location within a reasonable time. All you have to do is take the tram to station Köpenicker Chaussee or Blockdammweg and you can follow the crowd to the entrance of this Berliner open-air. The thing I personally love about this open-air in Berlin is that you are dancing with your feet in the sand. Rummelsburg offers two “floors” and the larger one is created like a beach. The smaller one is directly at the water and also has a lovely vibe. As mentioned there are only a few open-airs every year and one of them normally is organised by Stil for Talent: DJs like Kellerkind, Niconé and Oliver Koletzki will be performing on these events. All in all Rummelsburg is definitely one of the open-airs in Berlin with an awesome location. The only small disadvantage is that you have to buy a ticket in advance for most parties, in my opinion this takes away a bit of the charme of open-airs. Besides the above suggestions which are fully dedicated to open-airs, there are also many indoor-clubs which will allow you to dance outside. 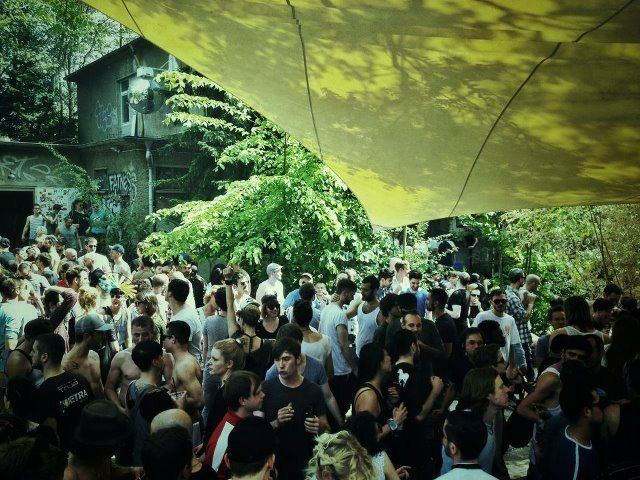 A large amount of the clubs in Berlin have a large garden which is used for parties during the day. When you cannot find a real open-air in Berlin, you can always decide to visit one of these clubs. The best clubs to visit are the ones who open on friday and close on Monday. This means you can party during the day on Saturday and Sunday. There are quite a few clubs in Berlin who offer these extreme opening-hours but my personal favourites are the Sisyphos, Wilde Renate and About Blank. Check out the websites of these clubs to find out what kind of party they are offering this weekend. The open-airs in Berlin in this list will hopefully offer a lot of enjoyment in the summer of 2019. However, Berlin also offers many spontaneous open-airs which are only announced a few days in advance. This is why every open-air-lover should definitely follow the Facebook sites Open-Air in Berlin and Open Airs Berlin. The fact that both pages have more than 150.000 likes tells you something about the popularity of open-airs in Berlin. Besides the many open-air suggestions they also share funny pictures and give you the chance to win free tickets once in a while. great blog, nice locations and tips. 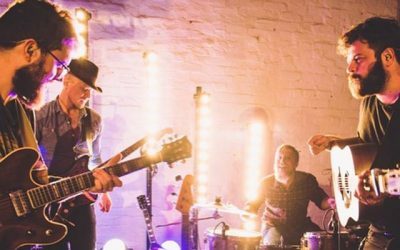 Do you know about any open air events in august 2017? Most programms only schedule 4 weeks. But I need to know now…. unfortunately you are right, it is very hard to find out which DJs are playing more than 4 weeks in advance. So you probably will have to wait till the end of July, thats when we post our agenda for August. Thanks for giving us ‘new comers’ to berlin a good start. thanks for the nice words. Hope you will have a great time. Let us know if you discovered any new places!